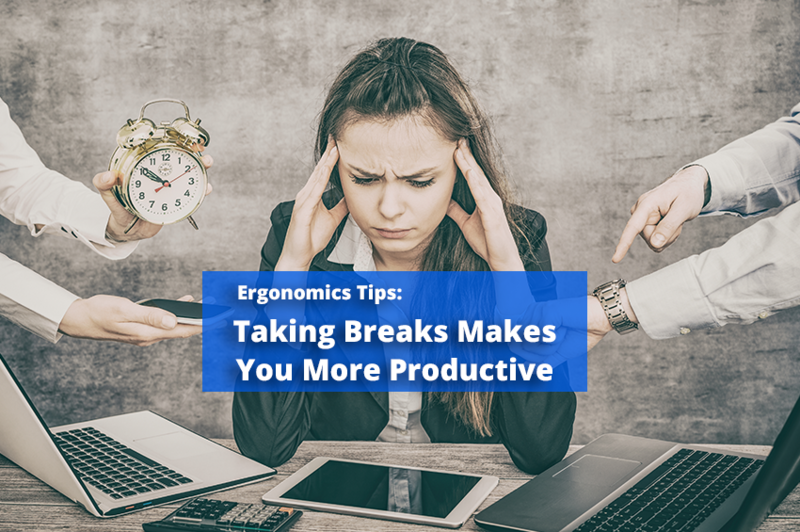 Taking Breaks Makes You More Productive at Work - Solutions Northwest, Inc.
For a lot of American workers, taking a break can come with a feeling of guilt when your boss or co-workers work through their breaks. In fact, the average full-time employee reports working an average of 47 hours per week, according to Gallup. o high stress in America’s workers. Overworking yourself will leave your body tired and your mind stressed out. Stress is bad for your health, the University College London found that stress can even impact your heart when studying 10,000 London workers. UCL found that “white-collar workers who worked 3 or more hours longer than a normal, 7 hour day had a 60% higher risk of heart-related problems than white-collar workers who didn’t work overtime.” Moreover, not everyone copes with stress well, which could lead to developing poor habits to manage a stressful work day. When you factor the risks of constant stress, with being over tired due to lack of breaks – your work quality declines and you put yourself at risk for injury and poor health. If your health isn’t enough to sway you, consider that overworking doesn’t necessarily mean you’re doing a better job. According to the University of Illinois, most people will lose focus on their task and their project will suffer if they work non-stop without breaks. “The breaks we take to recharge, eat meals, or spend time with the people we enjoy help us step back from our work and stay mindful of how our work contributes to our goals,” the study shows. These breaks improve our ability to finish tasks and contribute to overall better performance at work. Using professional sports as an example, coaches rest their players to keep them useful during critical times of the game. Knowing this, it is important to find ways to rest from the daily grind throughout the day to improve your overall performance. If you sit in an office all day, make sure you find moments to move your body. Visit the water cooler, grab a coffee, go eat lunch outside in the sun, or just restock the printer with some new paper. If you do repetitive tasks at work, stretch your back, neck, or hands. Try some desk exercises you can do while at work to keep your body strong and take your mind off work. By the end of your work day, you will have enough focus and rest to finish the work day strong. Don’t feel guilty taking your breaks, it will help you do a better job in the long run. If you’re a supervisor or managing employees, be sure to let them take their breaks, so you have a rested and focused staff. Hopefully these tips can help keep your workplace a safe work place. For more guidance on all work related health and safety issues, visit SolutionsNW.com or Contact Us for more information.